Congratulations to the nine More than Money Savings Challenge Winners! 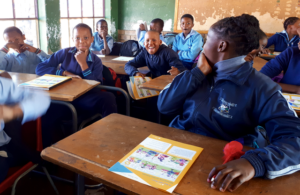 Sandile Nkhosi and Kamohelo Magge from Ekuphumeleleni Primary School in Soweto Gauteng; Refiloe Mashoeshoe, Simphiwe Xaba, Joana Janeiro and Thabo Nkalosa from Realeboha Primary in the Free State; Ayanda Maxethuka from Greenfield Primary School, Johannesburg; Kgotso Motaung from Reamohetswe Primary in the Free State; and Bulawa Siyakholwa from Fanti Gaqa Primary in Mdantsane, near East London in the Eastern Cape. 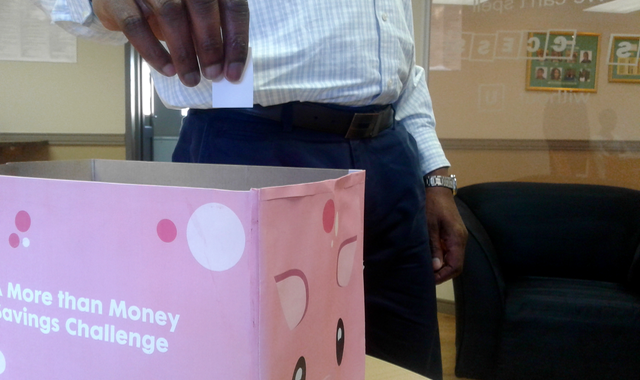 The Savings Challenge ran from 23 April until 16 July. 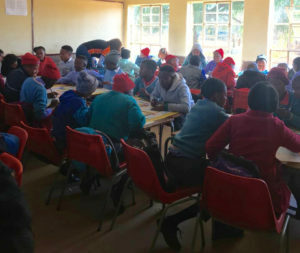 The 5 000 or so learners participating in the More than Money and More than Money in a Day programmes each received a cardboard piggy bank and set a target of how much they want to save, based on a weekly target multiplied by the 12 weeks of the challenge. 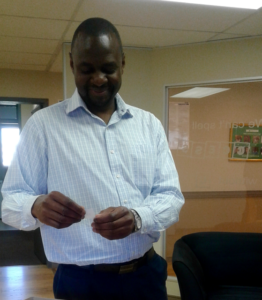 The draw was done by JASA’s financial director, Collen Ngundu, under the watchful eye of our Monitoring and Evaluations Officer, Mashudu Mabela, to end off a productive Savings Month. All of the participants who reached their savings target were eligible to enter the draw. 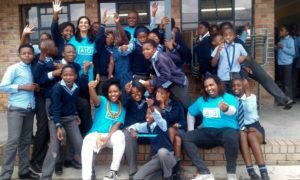 Some of the winners even exceeded their savings target. 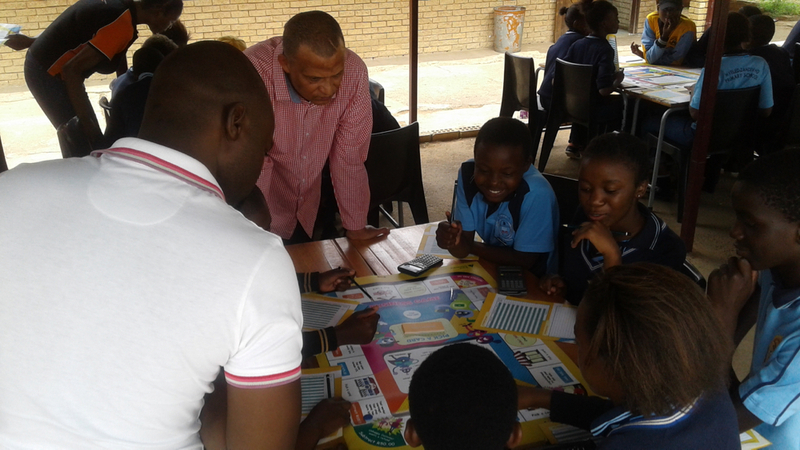 Bulawa Siyakholwa set a target of R1500 and exceeded this by saving R1695! This learner also achieved the highest total savings. The winners will open bank accounts and JASA will match each winner’s savings during the challenge and deposit the respective sums into their accounts. 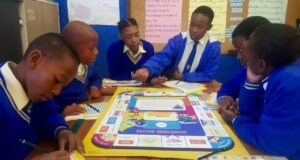 The aim of this challenge is to introduce the principle of savings in primary school learners so they develop good savings habits from an early age. 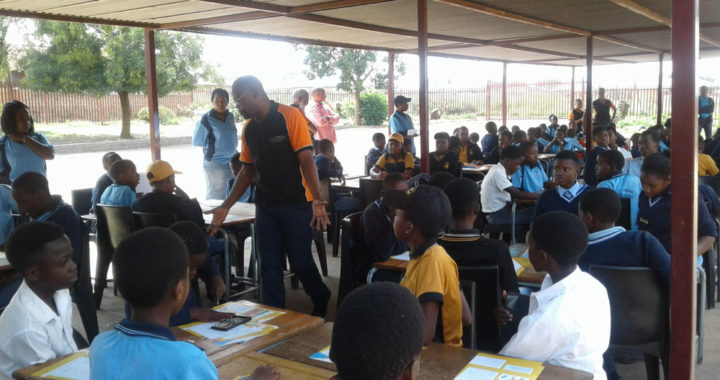 Thank you to the schools and the teachers who facilitated the challenge to ensure the students participated – we could not have done this without you. 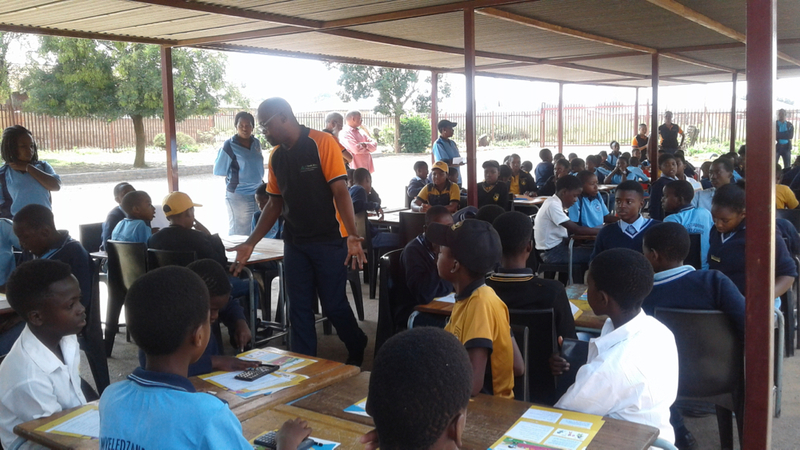 For more information on the programme, and on JASA’s partnership with HSBC, click here. 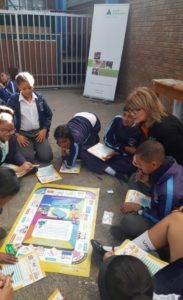 The Savings Challenge is open from this week starting 23 April, 2018, until the end of the winter school holidays on 16 July 2018. 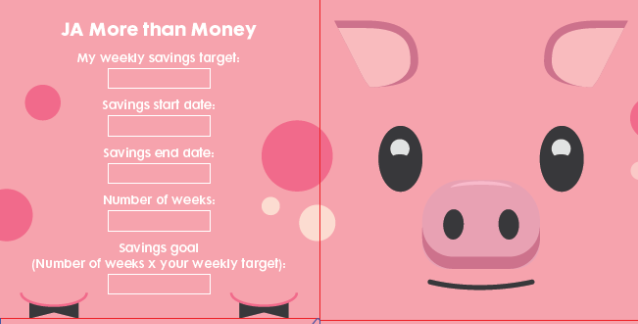 Around 5 000 earners participating in the More than Money and More than Money in a Day programmes each receive a cardboard piggy bank and set a target of how much they want to save, based on a weekly target multiplied by the 12 weeks of the challenge. 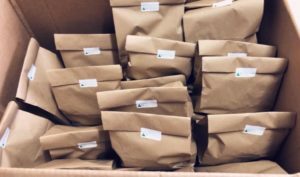 In the first week after the school holidays they will open their piggy banks with their teachers and count their savings. 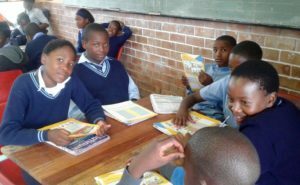 If they have reached their savings target they are eligible to enter the provincial draws, which will take place on Thursday 26 July 2018, just at the end of Savings Month, at the JASA offices. A total of nine winners from across the country will be announced after the draw. The winners will need to open bank accounts and JASA will match each winner’s savings from the challenge and deposit this sum into their accounts. 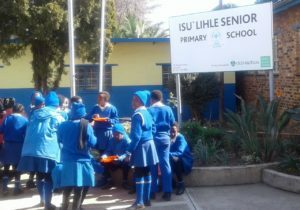 (The maximum amount that JASA will match is R2 000.) We would like to track the nine winners over the year that follows to see if they continue to save. 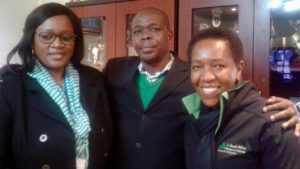 Since the launch of JA More than Money in 2008, globally HSBC Holdings has partnered with JA to sponsor and implement this programme, contributing $14.2 million (USD). 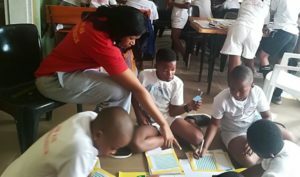 In total, more than 579,000 students have been impacted by the program and more than 8,900 HSBC employees have volunteered. 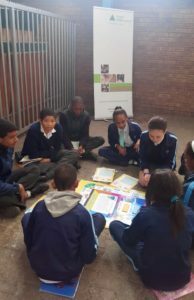 The programme is currently rolled out in more than 30 Junior Achievement member countries worldwide and in 2010, Junior Achievement South Africa won the best practice award for extending the More Than Money experience to the learners’ families through financial literacy focus groups. 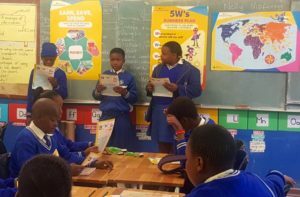 Since the inception of this global partnership, JA South Africa and HSBC have collaborated locally over these nine years to reach close to 23,000 grade six and seven learners across the country, in both urban and rural environments. 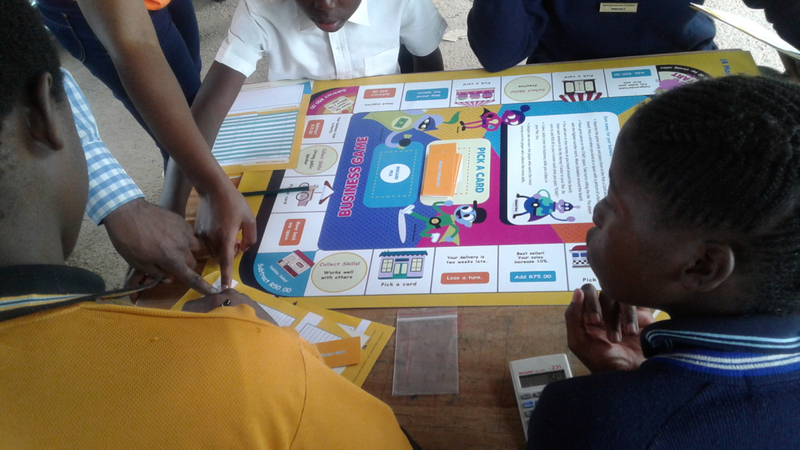 In partnership with HSBC, the JA More than Money programme teaches Grade 7 students about money-management topics such as earning, saving, and spending as well as entrepreneurship skills. The style of learning is experiential and hands-on. 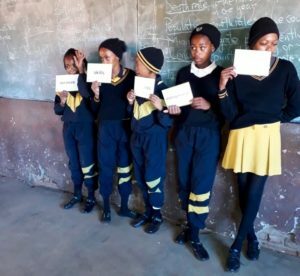 Learners gain the financial education basics, preparing them to be financially responsible adults who contribute positively to their communities. o Identify the role of money in everyday life. o Think like entrepreneurs and identify a small business they can start. o Explain the basic steps of starting a business, including why it’s important and its impact on society. o Analyse the advantages and disadvantages of borrowing money. o Explore the opportunities of global markets. 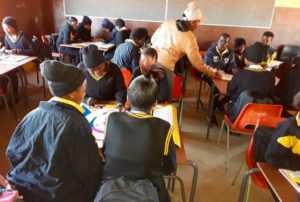 Each session includes a facilitator-led activity and a game experience to reinforce money-management and entrepreneurship skills learned during the session. 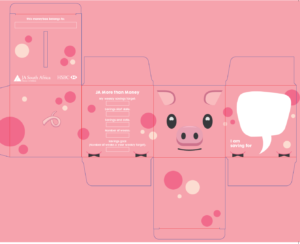 As the financial education landscape continually changes, online tools such as mobile banking and online budgeting have become increasingly prevalent. 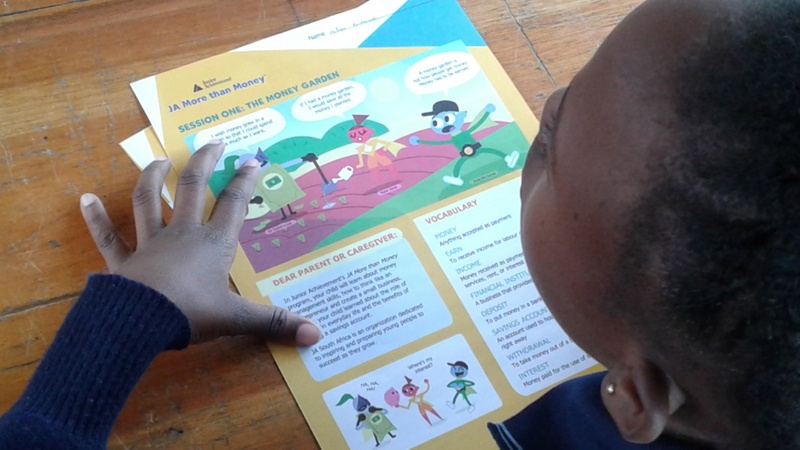 The updated JA More than Money program recognizes the shift toward technology-based solutions and offers digital resources beyond the classroom, encouraging students to understand emerging technologies from an early age. The JA More than Money program’s focus on entrepreneurship inspires students to think about small businesses they can create. Throughout five sessions, students learn the fundamentals of starting a small business and developing a business plan. From there, they learn the purpose of financial institutions and explore the opportunities and challenges across global markets. 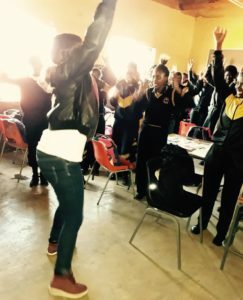 According to HSBC’s 2017 Essence of Enterprise Report, 25% of entrepreneurs in their 20s say that having a positive economic impact was a factor in their decision to go into business and 23% say they wanted to have a positive impact in their community. 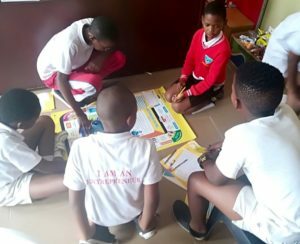 The JA More than Money curriculum fosters these aspirations by introducing the foundations of entrepreneurship to students at an early age, including why businesses are important and what their impact is on society. 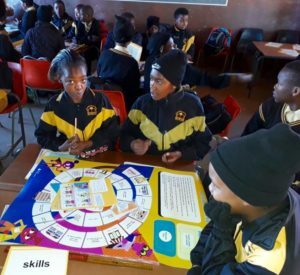 Around 600 Grade 7 learners at three primary schools: Reshomile, Diepsloot and Diepsloot Combined, were taught how to be money wise, through the JASA More than Money in a Day Programme hosted there on Friday 20 April. 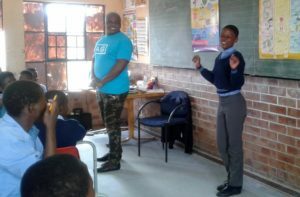 Funded by AIG, several volunteers from the company were trained to assist JASA staff, together with the Grade 7 teachers, to facilitate the programme of five sessions. 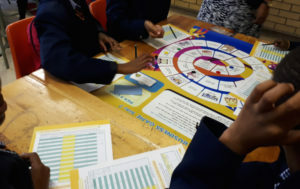 Using interactive materials and games aligned to the CAPS curriculum, participants become financially aware and learn the basics on how to start a business. 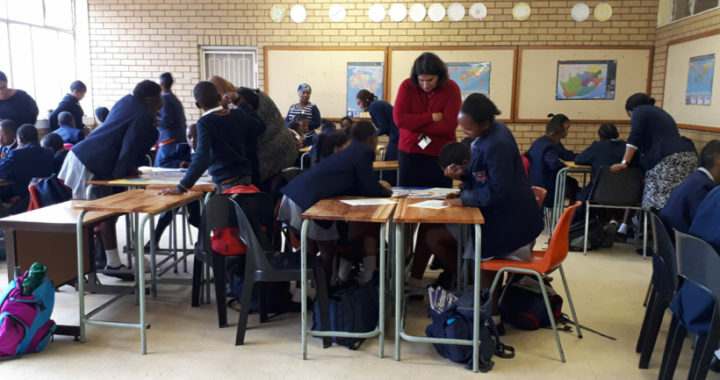 EMS Teacher Bongiwe Ngobese said, “The connection this programme has with our curriculum is very good. 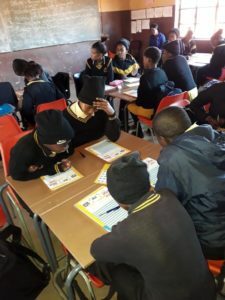 We are still going to start teaching finance this semester so the children are getting a head start in familiarising themselves with the finance terms and ideas.” She also commented that several learners were already budding entrepreneurs. Some would go to the mall and buy items to resell, such as ice in hot weather, while others found things around their houses to sell. 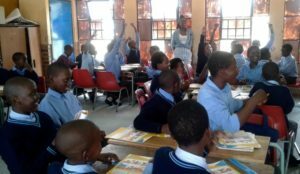 “The children are already in tune with the concepts being taught and this course reinforces what they know. 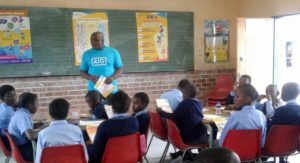 As they were going out of the classroom for lunch I could hear some of them repeating the concepts and exercises that we had gone through,” commented AIG employee Rachel Makwela. For the past 20 years Junior Achievement has conducted an annual survey of 1 000 US teens to gain a better understanding of how they see their financial futures. 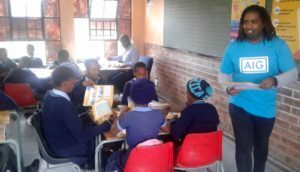 Being Financial Literacy Month, April is an apt time to release the results, which can be found here. This year’s survey covers teens’ financial plans and concerns, as well as what they think about topical issues, such asBitcoin. 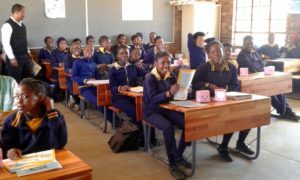 Their main concerns include being able to pay for college, finding a well-paying job, not being to afford a home and not having money management skills. 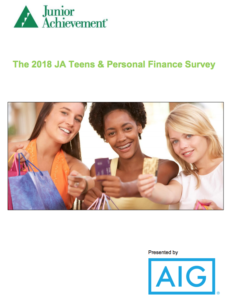 In the survey results, teens stated their financial goals for the future include graduating from college (75%), creating a savings plan (50%), affording international travel (37%), starting a business (30%), and retiring before age 65 (29%). 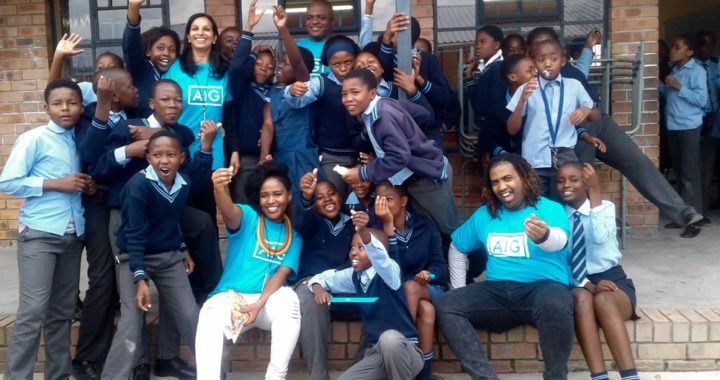 “It’s apparent from these findings that today’s youth think a lot about their financial futures, and are looking for ways to be better prepared to be successful at managing money,” said Laura Gallagher, Global Head of Corporate Citizenship at AIG. “One way AIG is helping on this front is by partnering with organisations like Junior Achievement to get young people the information they need to be more prepared and to feel more confident about their futures.” To read the survey results, click here. 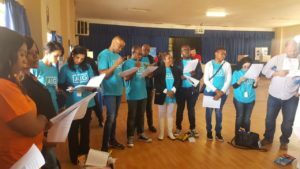 Thank you to AIG and the team of volunteers who came on board to assist with the programme! 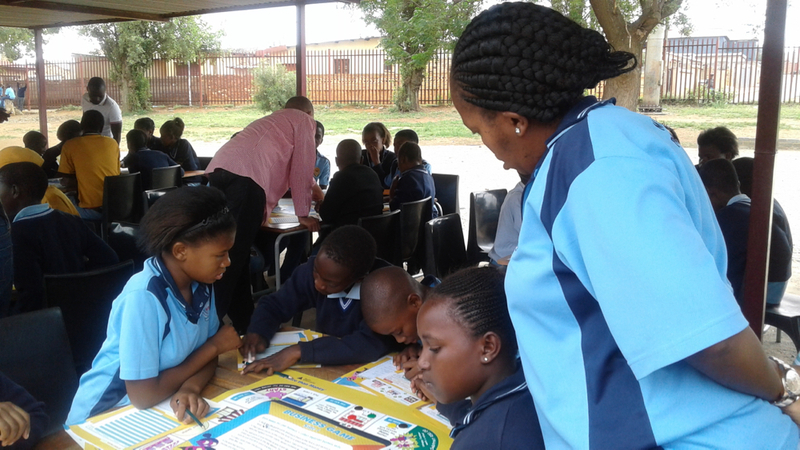 As part of Global Money Week, JASA teamed up with the Banking Association of South Africa and the Gauteng Department of Education EMS to host the More than Money Programme in a Day at the Mveledzandivho Primary School in Chaiwelo, Gauteng. 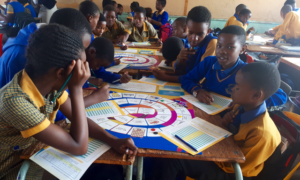 Grade 7 students from this school and two others in the area learnt about the value of money and how to manage it through interactive activities and games. 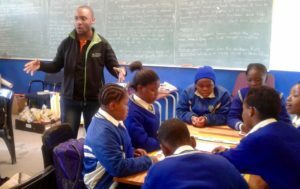 Junior Achievement South Africa facilitated the sessions with the assistance of teachers and volunteers, which included Petros Maneje from @OperationHOPESA, a Banking Association South Africa partner. 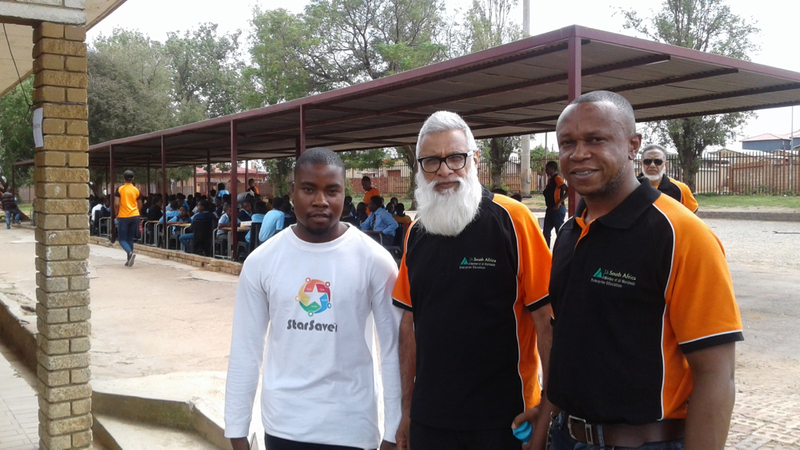 The teachers underwent training on the course content a week before the event. 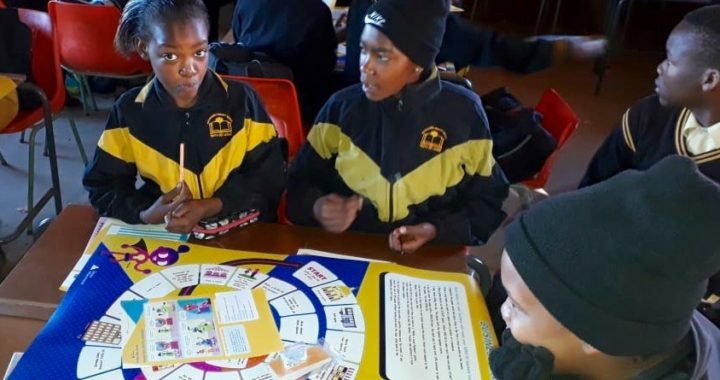 Peter Van Wyk, Deputy Chief Education Specialist at Gauteng Department of Education, commented that it would really be good to see more of these types of interactive activities and games in the curriculum. 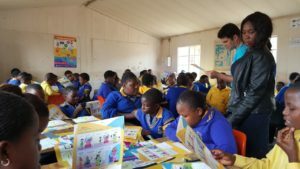 “When you engage them like this the learners enjoy it very much," he said. 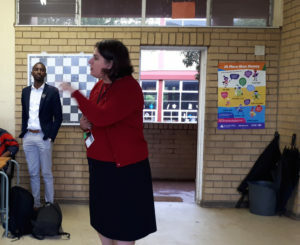 HSBC volunteers not only visited a session of the More than Money programme at Sandtonview School in Johannesburg but also shared some of their work experiences with the learners, who gained a glimpse into the world of banking. 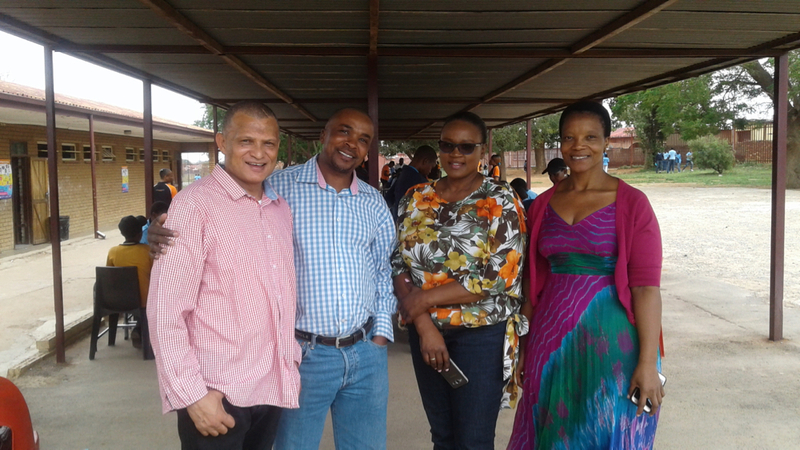 Another HSBC employee, Prince Thubekgale, added, “The programme is really fruitful. Financial literacy is so important. 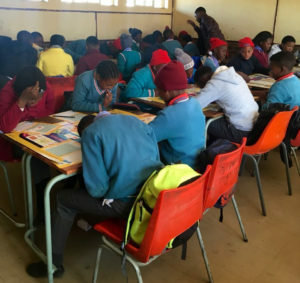 Through the longstanding partnership between JASA and HSBC, locally close on 23,000 Grade 6 and 7 learners across the country have gone through the More than Money Programme over the past nine years. 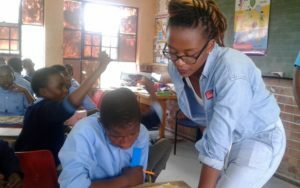 This year alone, we are reaching 4 500 learners through HSBC’s generous funding.